I have written before about how I love snacking. I snack all day long and therefore, when choosing snacks, I try to choose ones that are both nutritious and tasty. Currently, I am home on maternity leave, which means I’m always busy with my toddler and newborn. I am also breastfeeding, so I am especially hungry all the time. Snacks need to be quick, and since I am not getting a lot of sleep, it helps if they are nutritious and energy-boosting. I had made homemade banana bread when I was pregnant and froze it for during my leave. I love spreading my banana bread with nut butter for protein and healthy fat (and because I love any kind of nut butter. It is a sweet treat that is actually quite healthy. I love this Almond Cashew Butter Banana Bread and my Cranberry Pecan Banana Bread. I love having healthy bars on hand because they can be eaten one handed while nursing and chasing a toddler around. I love the Health Warrior bars because they are made with superfoods that give me energy to make it through a busy day (often running on little sleep). They are only 100 calories, are full of chia seeds as the main ingredient and are rich in omega-3 fatty acids. Consuming enough omega-3 is very important for brain health and memory, so I love these bars. They only have 4-5 grams of sugar each which is super low compared to other bars, and chia seeds absorb water which help to keep you full. The chia bars come in many different flavors including mango, dark chocolate cherry, chocolate peanut butter (my favorite), banana nut and more. Health Warrior also has chia seeds, pumpkin seed bars and protein bars. The bars have 4-5 grams of fiber which is awesome! Compared to other bars, they are lower in sugar and higher in fiber and taste great. I love the variety of flavors that they have. These are great for throwing in my diaper bag and eating in the car on the way to a doctor appointment or at the zoo with the kids. I love whole-wheat crackers and sliced cheese for a snack. Favorite kinds of cheese include pepper jack, dill havarti and smoked gouda. This quick meal option is inspired by my daughter who loves snack-type lunches. I just slice up cheese, fresh vegetables, fresh fruit, whole-grain crackers, lunch meat or whatever we have on hand and serve it all together. This is easy to eat with one hand if need be. Some days, I take a nap during regular lunchtime (after being up much of the night with Oliver) and a late lunch or heavy snack like this is perfect and can be thrown together in just a couple of minutes. I have been loving to cut up fruit at the beginning of the week to have on hand when Adalyn and I need a snack. We have been eating lots of fruit and some of our favorites as of lately have been fresh pineapple, cantaloupe, oranges, strawberries and more. We are on the biggest popcorn kick! Many nights after dinner, we watch part of a Disney movie with Adalyn and pop some popcorn. So good! To make it more protein rich, I could add a handful of peanuts. I love every single kind of nut butter and love having it on any kind of bread that we have: whole-grain English muffins, whole-wheat bread, brown rice cakes, whole-grain wraps, etc. You can top it with jam or fresh fruit such as blueberries or banana slices. Adalyn's favorite is a whole-grain waffle topped with peanut butter and jelly. To get a special discount on Health Warrior chia bars, use this discount code. 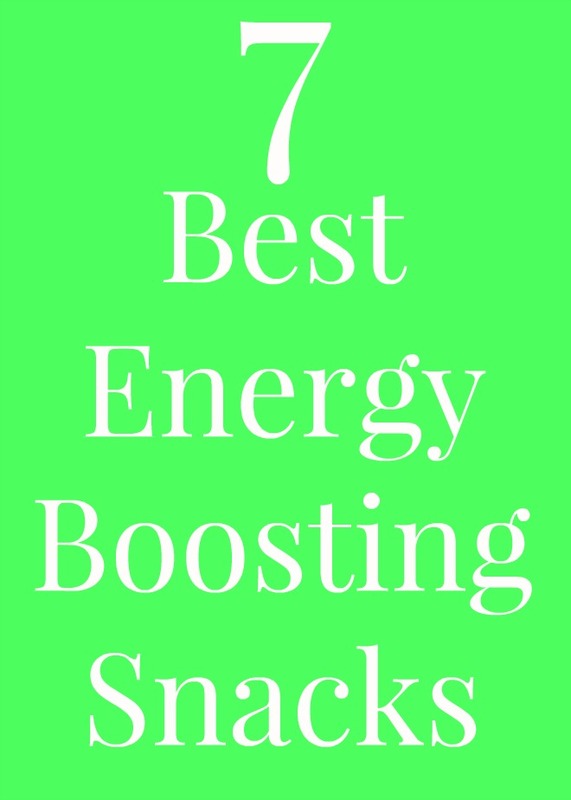 What are your favorite energy-boosting snacks?